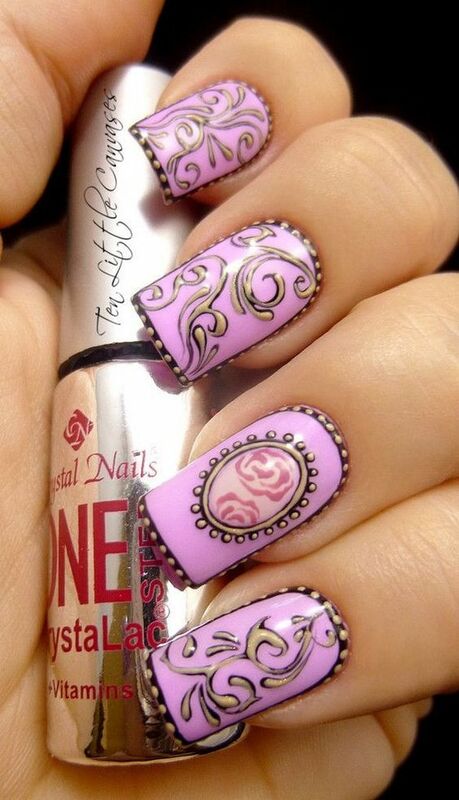 Nail art has gone a long way from just plain shiny colorless coating to amazing 3D designs. Now, if you have the luxury to spend, to can make your nails stand-out like celebrities on their own rights. One theme for nail art design is the vintage collection. Vintage designs showcase patterns and colors normally were famous during the earlier decades. For starters, we see groups of lines over pastel colored background, layered with flowers, while others have glitters. Most of the times, you see polka dots and designs which you normally see on vintage plates and vases. The feel of these designs take you back to the 70’s and 80’s wherein plains and simplicity are the fab. Nails with these art can be matched with old-school hairdos for women which you can probably imagine the looks of Marilyn Monroe and the First Lady Kennedy. Truly, a blast from the past.